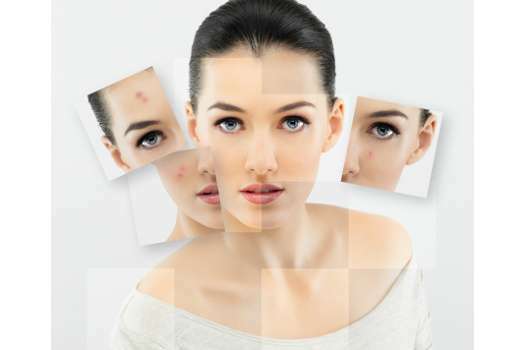 There are a wide variety of skin problems and conditions that can be successfully treated with a VI Peel, delivering amazing results with a treatment that is not only potent and powerful, but virtually painless and with almost no down time. Chemical peels are a treatment in which a chemical solution is applied to the skin to remove the damaged outer layers of the skin’s surface. The VI Peel, a chemical peel we use in our Newport Beach clinic, is a highly concentrated solution comprised of three different acids along with vitamin A and C. Most peels are typically a solution of 1 acid. The VI Peel is the gold standard of peels with its unique blend of 3 different, highly effective alpha hydroxy acids to penetrate the epidermis and shed layers of dead skin while delivering a dose of vitamins and A and C to give you anti-aging benefits as well. Chemical peels are tremendously popular and for many people, are a wonderful, cost conscious alternative to laser skin treatments. While VI Peels may be advertised all over Newport Beach, it is recommended that you seek out treatment at a clinic under the care and administration of a trained medical professional. If you want skin that is healthy, supple, radiant, even-toned and firm with a youthful glow, the VI Peel is the answer. Q: What should you expect from a VI Peel? A: Your skin will feel tighter immediately after the peel. Over the course of the next week, your skin will begin to slough off the outer layer. This causes the tightness to subside and healthier skin can be seen which will be firmer, brighter and smoother. Q: How much time will you need to schedule for a VI Peel? Q: What is the optimum number of treatments? A: A rule of thumb recommendation is to have a VI Peel every 3 months to combat/prevent aging or damage to your skin from the sun and other sources. Q: Are there other treatments available that will enhance the results of a VI Peel in Newport Beach? A: If you have rosacea or hyper-pigmentation, you may want to consult the doctor about an IPL treatment, which specifically targets these problems. Patients are educated on proper aftercare from a VI Peel in our Newport Beach office and what to expect during the days following the peel. You skin will peel and you will see results within 2 days.